Myer’s sales in the financial year were down 3.2 per cent to $3.1 billion, leading to a loss of $486 million compared to the previous financial year. The announcement follows the removal of 30 positions from its executive and senior management team following a review of the support office, including executive GM of marketing and customer, Louise Pearson. The cuts came less than six months after the group lost its CEO, Richard Umbers, and its chairman, Garry Hounsell, took up the reins, announcing his intention to shake-up the ranks in order to lift Myer’s game.In June, the group appointed a new leadership team including former House of Fraser turnaround chief, John King, as its CEO and managing director. Hounsell today said the FY2018 financial results are disappointing. King said in the results conference call, that Myer is a ‘fat organisation’ with more management changes to be made, but that no customer-facing roles would be removed, and in fact investment would be made in customer facing roles as part of its 'customer first' program. King said what Myer customers want is simple, they want great brands, good prices, with leading service in store and online, and Myer is focused on customer facing activity, investing in customer facing training and incentives, while reducing costs. As a result, the plan is to declutter shop floors, reduce stock, remove clearance zone through 2019, and focus on ‘buying better’ to improve full-price sales. Another big plan is to relaunch the Myer website. “We will invest to grow Myer exclusive brands. We will build destination categories, such as accessories and exit categories when Myer is less profitable,” King said. “We will enhance Myer.com, to make it the number one store within two years, leveraging Myer One data in a much more efficient way to drive multichannel customer engagement and growth. 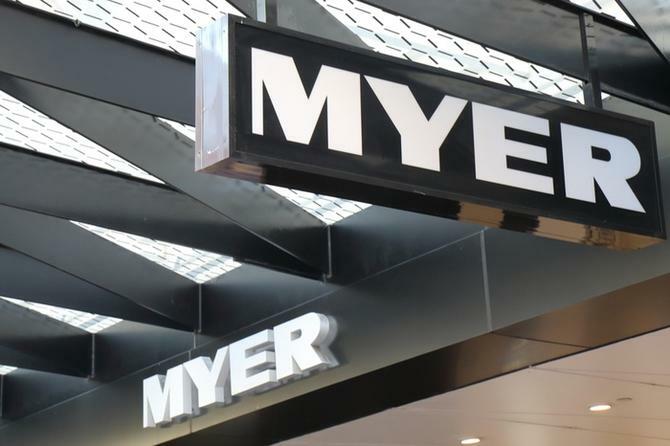 “Myer will refocus efforts in improving marketing and products, while making changes to product ranges, store layouts, and online offerings." The new Myer website will launch in two weeks and includes enhancements to the UX, in particular for mobile, improved and faster search capability, clearer filters and navigation, improved presentation of merchandise, and clearer, more engaging brand and editorial journeys, King continued. He also discussed Myer's ‘customer first program’, an incentive program for staff, which will be measured by Net Promoter Score (NPS), mystery shopper scores, and other metrics in coming months. “We will focus on sales driving activities, and driving profitable sales, so not selling anything at any price. Myer will reduce discounting, drive up margins, and reduce costs. Our focus is on profitability and we will not chase unprofitable sales," King said. “We will be transforming CX in-store, by updating store layout, reducing store space, and securing refurbishment investment. Myer is also investing in opening hours, more marketing, and offering a bigger 'giftorium' for Christmas 2018. Myer's total online sales were $239.4 million, including $30.8 million via in-store iPads, sass & bide and Marcs and David Lawrence online sales and Myer Market. Operating gross profit declined by 2.9 per cent to $1.18 billion. No final dividend will be paid.